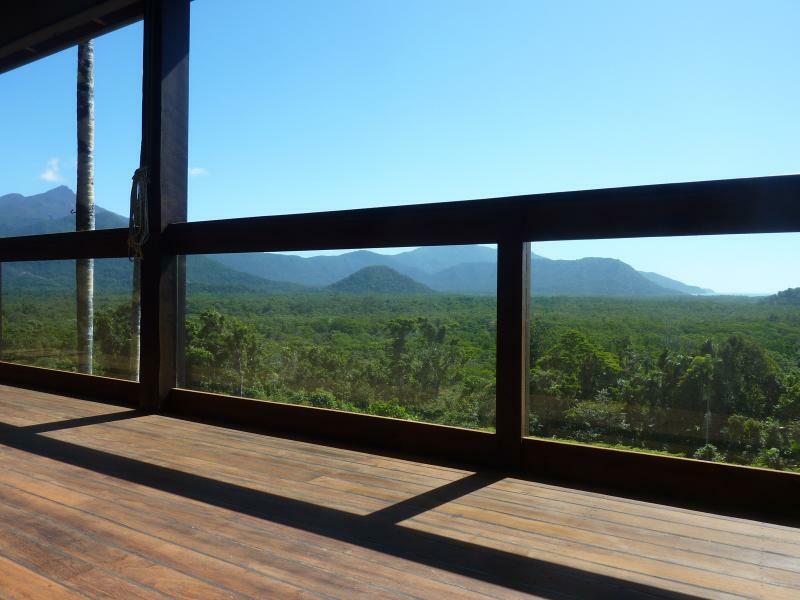 1 of 36Mountain & Ocean Views from Daintree Holiday Homes - La Vista. 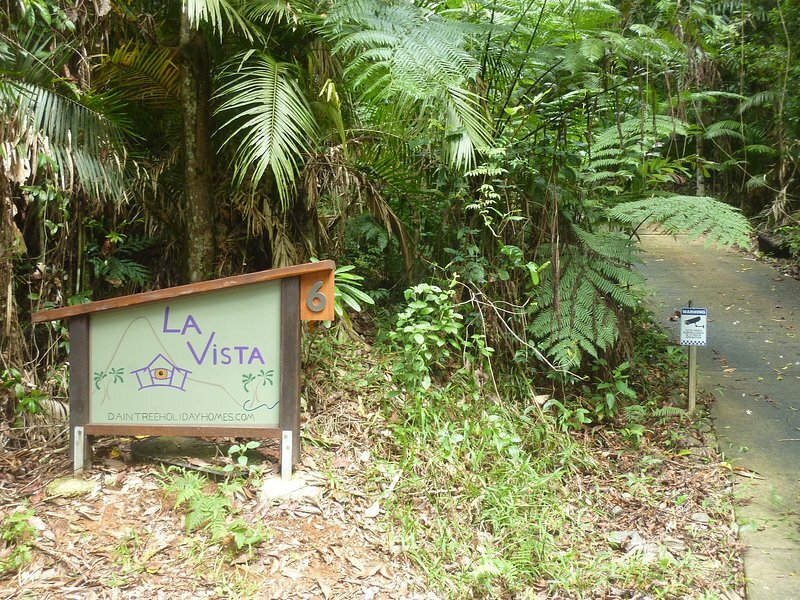 La Vista is sitting on top of a hill in Far North Queensland surrounded by Rainforest, not a road in sight. 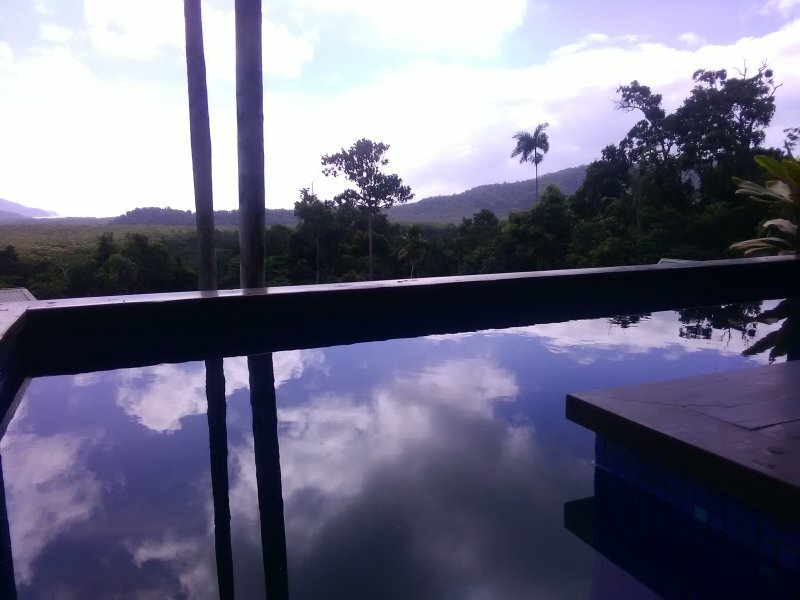 However, La Vista’s concrete driveway is only 2 hours on the paved Captain Cook Highway from Cairns International Airport. Driving North on the Captain Cook Highway from the Airport you’ll quickly leave Cairns on the coast road to Port Douglas. After ‘Port’ you’ll continue North on the Captain Cook till the Daintree River Ferry turn-off (right). Over the river, over the Alexandra range, and down into Cow Bay. Take the first right after the Cow Bay Hotel (pub). A further 500 m and on the right is the driveway marked by La Vista’s sign.